It's just that easy. 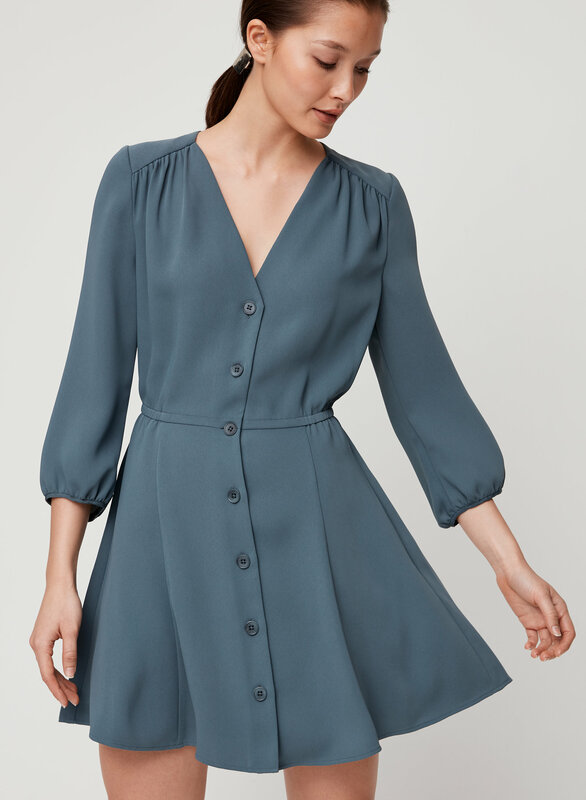 This is a button-up dress with a plunging V-neck, voluminous 3/4-length sleeves and a flared skirt. 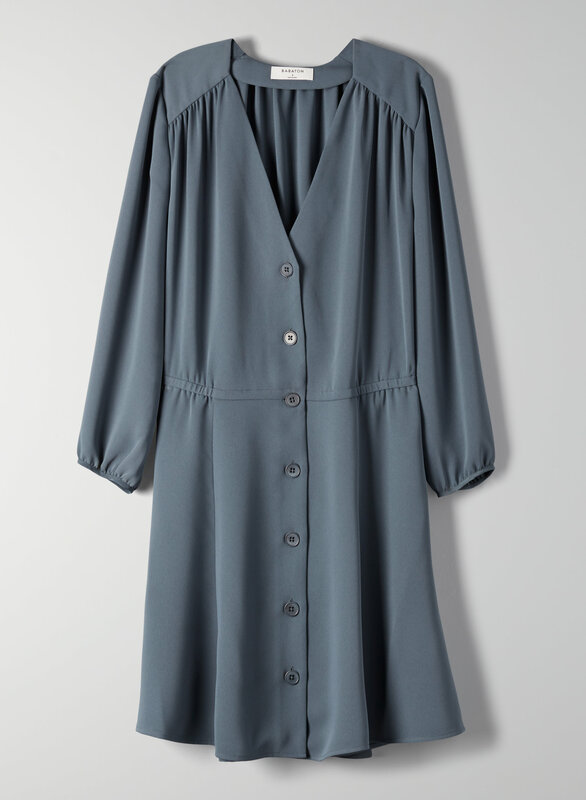 It's made from a matte, satin-like material with a nice drape.